The next selection for all centres, UK and France will be held on the 24th April 2019. This will be a one day selection held at Culmington Manor, Shropshire. more details! Do this job in the UK! 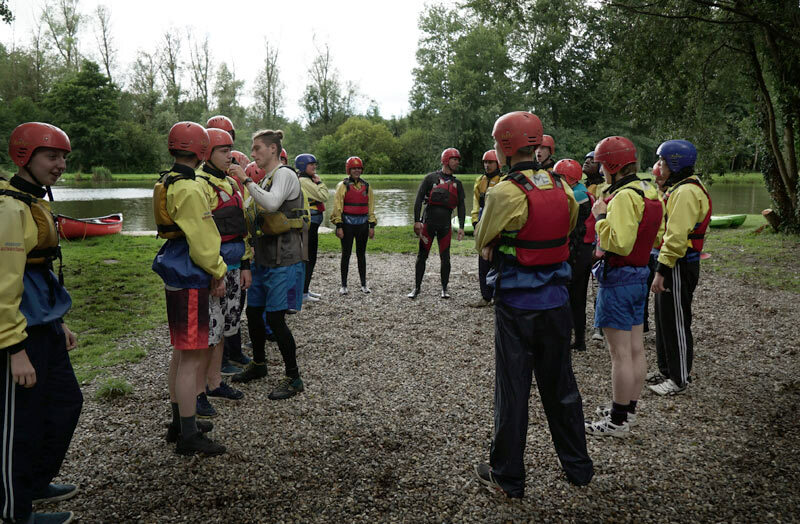 Why not spend a year working as an outdoor instructor at one of our UK centres! 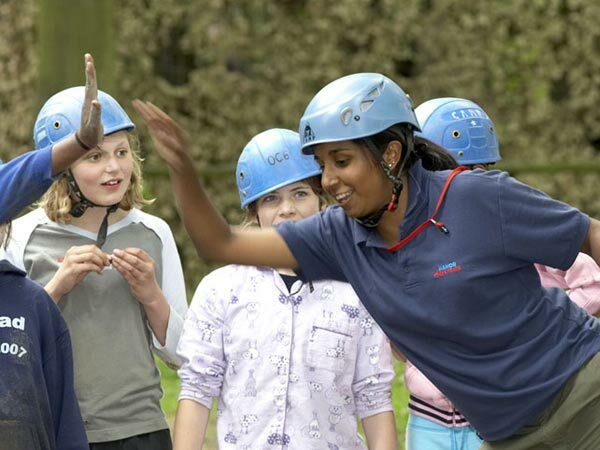 Manor Adventure is an industry leading residential outdoor activity provider. We have been able to become an Employer of Choice through our focus on the quality of the educational sessions we offer, as well as our commitment to the training and development of our staff. 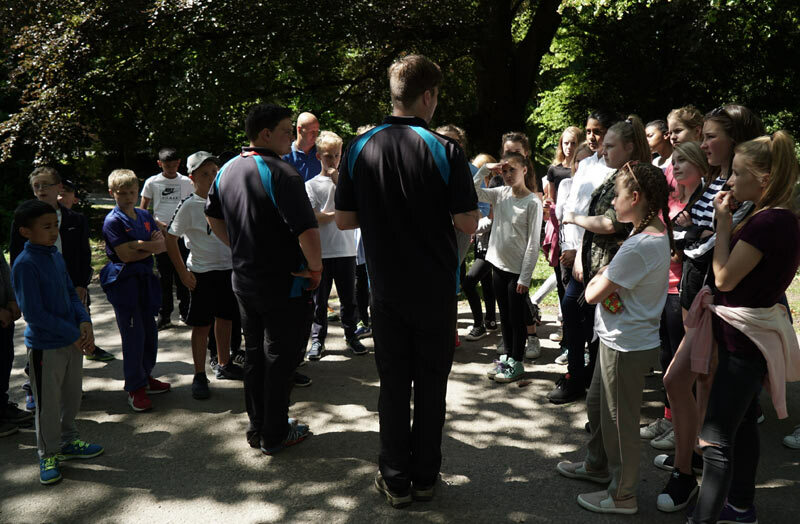 Our comprehensive training programme, which includes gaining recognised National Governing Body awards, will provide you with the confidence and skills to deliver high quality, safe, outdoor sessions at one of our 2 French Chateaux. The work is extremely rewarding. Every Instructor remembers the smile on the face of the first child they helped to have the confidence to overcome their fears. Some images of our French Activity Instructors in action. 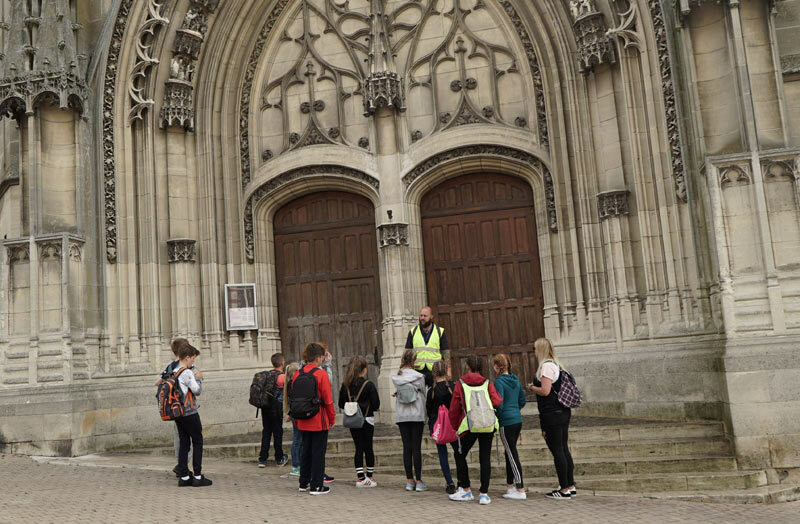 You will be teaching a range of exhilarating activities which are similar to our UK Centres such as paddlesports and rifle shooting with the possible addition of assisting with the French speaking modules. We welcome applications from those with or without experience. However, we would particularly welcome those applicants with a basic knowledge of the French language. You can start your career with us or take your existing experience to the next level. All we need from you is energy, enthusiasm and a passion for working with children. If you would like to ask us any questions about this job, or if this sounds like the kind of job you would like to apply for, please use the forms below. Want to know more about the Activity Instructor in France Role? DATA PROTECTION The Human Resources office and relevant manager for the role at Manor Adventure (Head Office, Manor Adventure, Craven Arms, Shropshire, SY7 9BY), who can be contacted on 01584 861333, will be in control of the data provided on this form. Please contact the Head Office for access to the Data Protection Officer for the organisation. The information which you provide in this application form and any other information obtained or provided during the course of your application (“the information”) is a contractual requirement to assess your application in the process of a new appointment and failure to provide all of the information requested will impact on the likelihood of you being offered the role. Your information will be used solely for the purpose of assessing your application. If your application is unsuccessful or you choose not to accept any offer of employment we make, the information will be retained for a further 6 months in the event of a new job opportunity, after which time it will be destroyed. You have the right to data portability, request access to, rectification or erasure of your data collected as part of this process. If your application is successful, the information will form part of your employment file and we will be entitled to process it for all purposes in connection with your employment. We will not sell, distribute or lease your personal information to third parties unless we have your permission or are required by law to do so. So that we may use the information for the above purposes and on the above terms, we are required to obtain your explicit consent. Accordingly, please agree on the consent section below. You have the right to withdraw your consent at any time and the right to lodge a complaint with the Information Commissioner's Office (ICO). I consent to my personal information being used for the purposes and on the terms set out above. Ready to apply to join our team? - Do you hold a UK or EU passport? - If non EU resident do you have a valid work permit? - Do you hold a UK driving licence? - Do you hold a current first aid qualification? In the following two boxes you can provide details of any previous relevant experience or qualifications. Don't worry if you do not have any, your level of previous experience will not affect your application. If you were a full time student or do not have any employment history over the past 12 months, please ignore this section. - Have you ever applied to or worked for Manor Adventure before? Please note For some roles, if you are offered employment you will be required to obtain a DBS report (Police Check) to confirm the above. Many of our young guests leave all our centres having ‘grown six inches’. Our amazing team of instructors learn how to help develop each child attending to overcome their personal fears, develop new skills, enhance their confidence, self-esteem, social skills, learn how to work as a team and understand how a group working together can achieve so much more together. This job provides massive job satisfaction as over only a few days substantial positive differences can be achieved for each and every child. The whole experience also helps you to become a better version of yourself. Change your future. Apply now to join an amazing team.